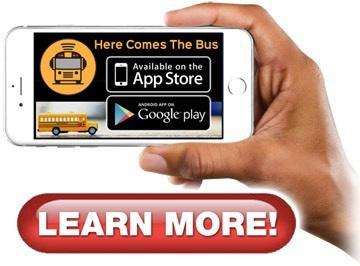 LAS VEGAS, Jan. 7, 2019 /PRNewswire/ -- The free mobile app that has revolutionized the daily school bus commute for more than a million users nationwide will be expanding to serve more communities in 2019 thanks to a streamlined version that makes the software more affordable. Here Comes the Bus is the industry-leading free mobile app connecting and protecting more than a million users nationwide. The app will be featured at the 2019 Consumer Electronics Show in Las Vegas this week. School buses in Higley, Arizona are equipped with the “Here Comes the Bus” technology. 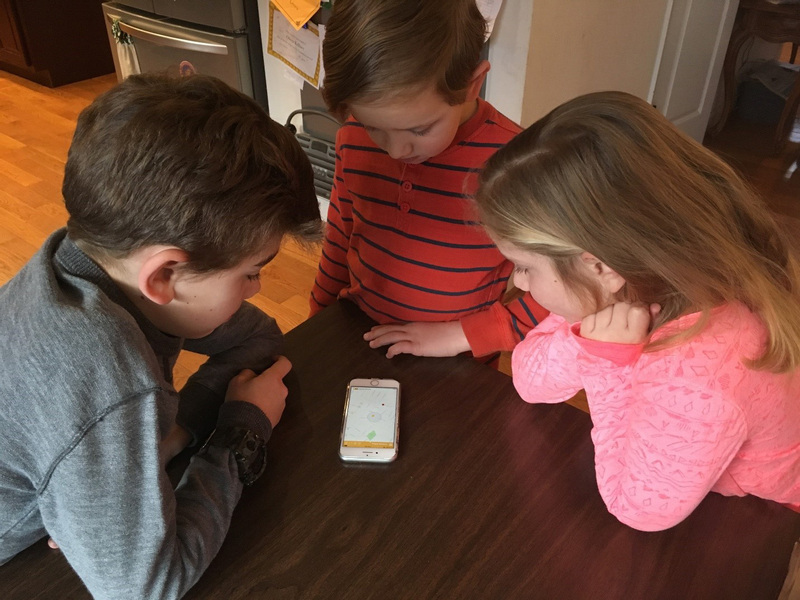 A Virginia family uses the free mobile app, Here Comes the Bus, to track the daily bus ride to and from school. The app has more than one million users and has accumulated 4.6. stars on the app store with more than 30,000 reviews. The free mobile app has racked up more than 30,000 reviews on the Apple app store with a 4.6 star rating. The intuitive user interface, accessibility and simplicity of the app has earned it plaudits from parents, students and educators. The “Here Comes the Bus” app features a simple user interface that allows parents to personalize their experience to best fit the needs of their neighborhood and family. More than a million users from New England to California rely on the free mobile app every day to better manage their children’s daily bus commute. The "Here Comes the Bus" Lite version will be available later this year and is designed to serve smaller school districts which normally don't invest in smart school bus fleet technology. "The market has spoken, and the demand is clear. We're excited to be able to innovate and deliver a school bus tracking app ideal for smaller school districts in rural or underserved areas," said Jon King, CEO, Synovia Solutions. "This new version of our signature app will be a terrific opportunity for districts to invest in smarter fleet tracking technology that provide an improved school bus rider experience for their communities." The move to introduce "Here Comes the Bus" Lite comes off a banner year in 2018 in which the app surged to more than a million downloads, resulting in a top 50 position among education-related apps on the iTunes® app store. The app that's revolutionizing the way parents, students and education officials interact with the school bus commute has earned 4.6 stars on the app store with more than 30,000 reviews. "We are here in Las Vegas at the Consumer Electronics Show because we have a disruptive technology that is delighting customers and changing the ways communities think about school bus safety," King said. "We want the nation to know that students and parents can lobby their school districts to make the modest investments in the affordable technology that powers "Here Comes the Bus" and significantly improve the school bus experience." 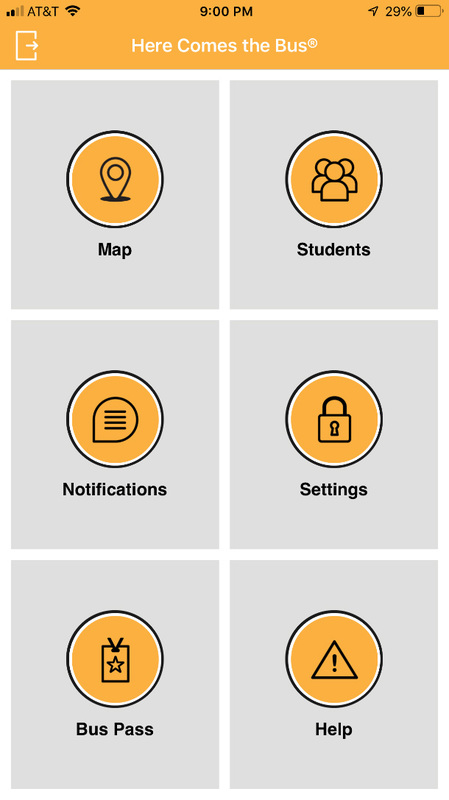 Launched in 2014 by Indianapolis-based Synovia Solutions LLC, the app "Here Comes the Bus" provides real-time tracking info as well as e-mails and push notifications to connect parents and students with their bus. The app is a powerful yet simple way to destress hectic mornings as bus riders no longer worry about the exact arrival time of their bus. 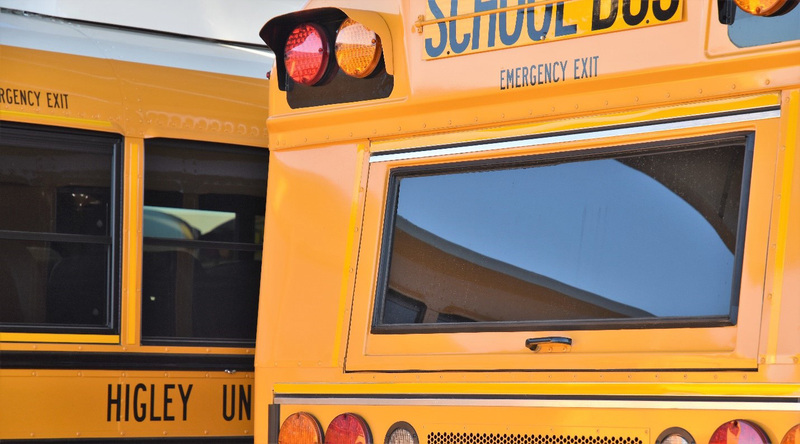 School districts pay no up-front costs to integrate Synovia's smart fleet technology. Synovia offers a subscription model in which districts pay a monthly service fee per bus per month. School officials interested in learning about how "Here Comes the Bus" can improve their transportation system should contact Bryan Mitchell. Please follow us on Facebook, Twitter and LinkedIn and search our library of videos on YouTube to learn more about our solutions. Based in Indianapolis, Synovia Solutions LLC provides GPS-driven smart fleet technology applications to increase savings, enhance safety and improve service. The powerful Web-based solution is provided on a Software as a Service (SaaS) platform. With a nationwide customer base in K-12 transportation and municipal fleet management services, Synovia provides digital services that deliver essential, real-time data for smarter fleet management.